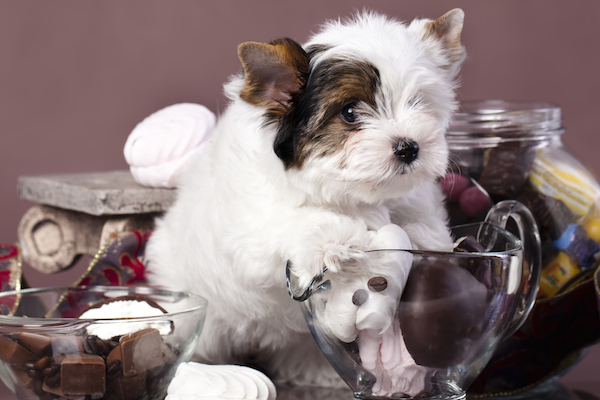 You’re scouring the papers and online for “Morkie for sale” or “Morkie puppies for sale.” But when you spot that ad, how do you know you’re connecting with a legitimate, good dog breeder? And not a puppy mill broker or some other scumbag on his way to selling a bunch of pet store dogs? This is the person who owns a Yorkie or a Maltese and simply wants to have a litter of Morkies. This person does not make tons of money from this, and may breed the Yorkie or the Maltese to the other, once in a while. Very different from what the pet industry calls the “backyard breeder” who’s essentially a small-scale puppy mill. You’ll find someone like this in your local newspaper or ads at the grocery store or Vet’s. Key to ensuring that this isn’t a puppy mill, is meeting the seller in person and seeing the facilities. If the seller isn’t willing for you to see where the puppy was born and raised, or wants to meet you at a coffee shop or mall – RUN! These are sure signs of puppy mill brokers. Check out FidoSavy.com and their information on getting a dog or puppy. Not so fast. Take some time and be sure you’re connecting with a good dog breeder, and not buying one of the thousands of pet store dogs raised in puppy mills. Provides, at no extra charge, valid paperwork to show the puppy has had his first vaccinations, worming, etc. 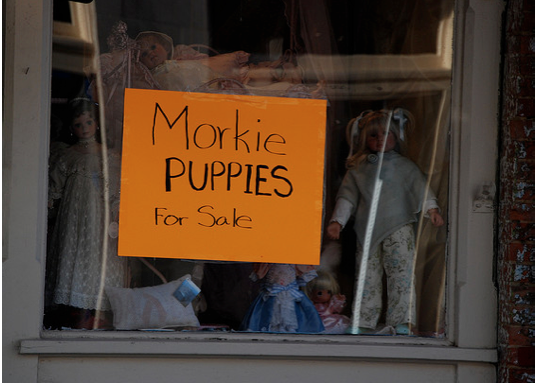 RIGHT: A bad sign – this is no doubt a puppy mill or backyard breeding operation, where dogs are abused and mistreated. When it comes to getting a new puppy or an older dog, PET STORES are the worst. Pet store dogs have sooo many problems. But buying online without seeing the dog first, is almost as bad, and chances of being scammed online are very high.